The Huawei MediaPad10 Link+ Manual or user guide has been published by Huawei manufacturers. 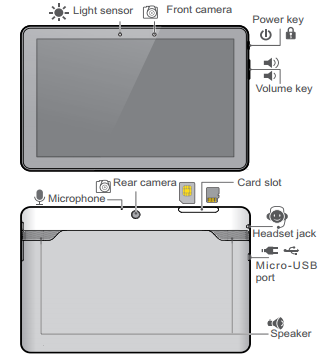 This manual contains important information like restoring guide and updating tablet tutorial on page 32. The Huawei MediaPad10 Link+ is powered by Cortex-A9 Quad-core 1.6GHz processor. It has 10.1inch, Capacitive Touch (10-point) with a resolution of 1280×800 IPS. This tablet run on Android 4.2 operating system with Emotion UI 1.6 features. There is 1 GB LPDDR2 of RAM and 8/16GB internal memory.